Wouldn’t you like to wrap yourself in captivating harmony? I sure would love to emanate great joy, love and health! I love to showcase my yarn colors in bold, simple knitting patterns and the new Radiant Wrap is no exception. 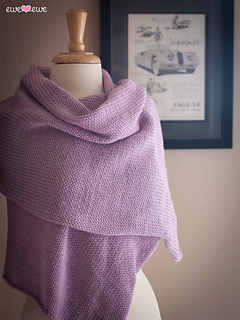 Knit a Radiant Wrap and envelop yourself in this magical color!